Boasting an incomparable location near the Ajman Museum, Ajman Saray Resort stands above turquoise waters and ivory sands. Ajman is conveniently close to Dubai International Airport (DXB) and the United Arab Emirates&apos; distinguished attractions. Relax at the spa, on our private beach or at the poolside bar with a gulf view. Exquisite cuisine includes Mediterranean, Middle Eastern, grill and more enhance with sumptuous surroundings . 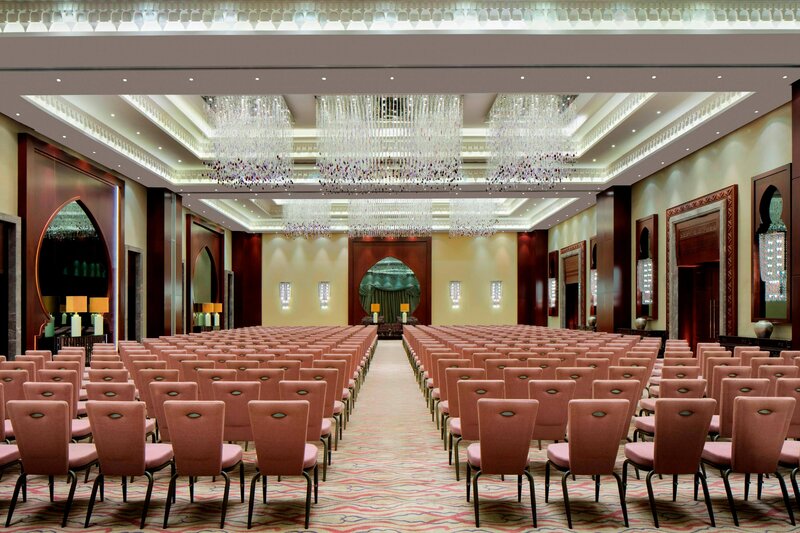 A sophisticated ballroom and other venues host matchless meetings. 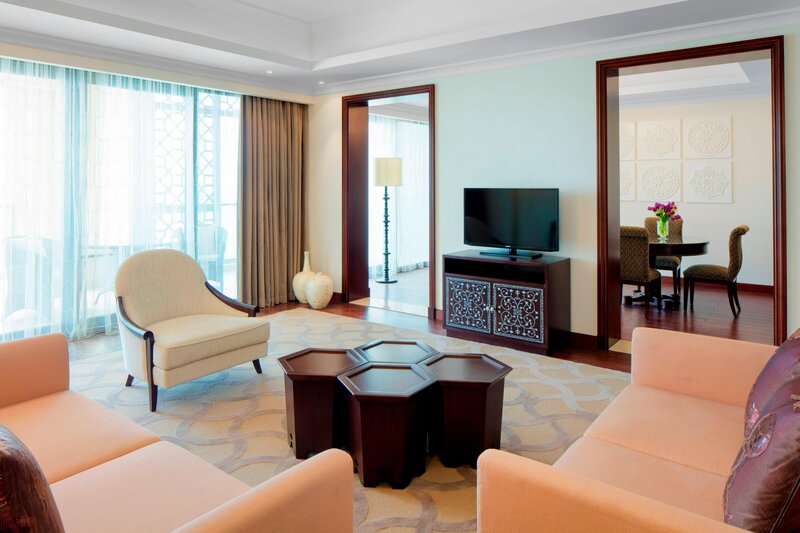 Surround yourself in the opulence of any of our resort&apos;s 205 guest rooms and suites, featuring exquisite décor adorned in rose pink, azure blue and golden amber. Each of our accommodations features a private balcony furnished with lounge chairs. Enjoy our white sandy beach with unobstructed view of the Arabian Gulf; it&apos;s a perfect place to witness Ajman&apos;s captivating sunset. 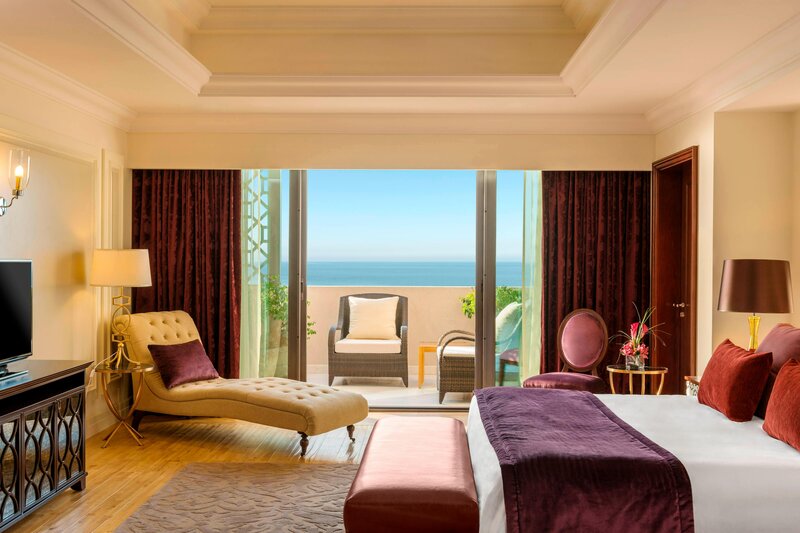 Our prime location on the coastline of the Arabian Gulf allows for seamless sea views from our suites. 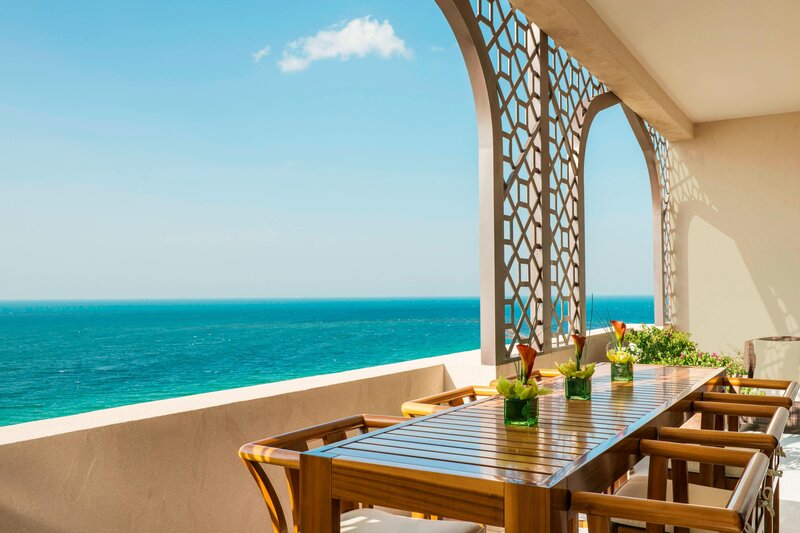 Take in an unrivaled view of the Arabian Gulf and its pristine beaches from the living room and the balcony of the Royal Suite. 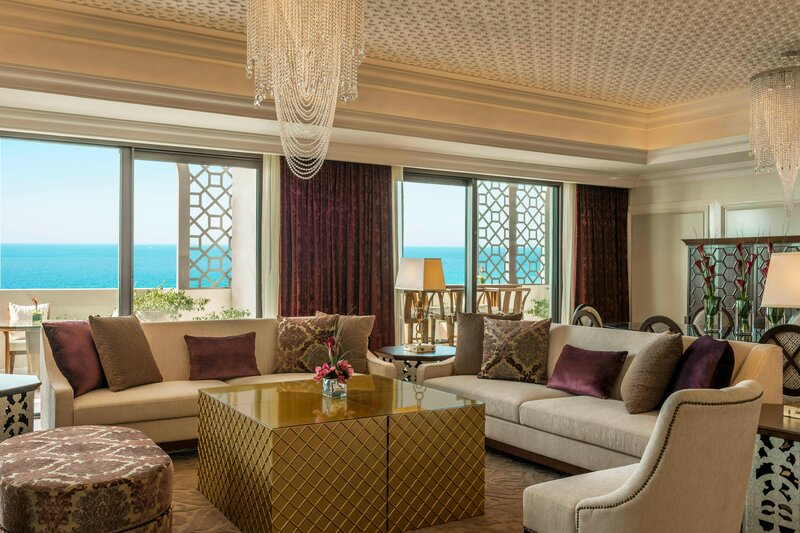 Expansive elegance defines the Amiri Suite, plus a private balcony offers a jaw-dropping look at the beach and sea. Bab Al Bahr Beach Bar & Grill is the only food and beverage venue within the resort which is located right on the beach. This à la carte Beach Bar & Grill exudes modern, easy-going charm with a Sunset Lounge at the rooftop. 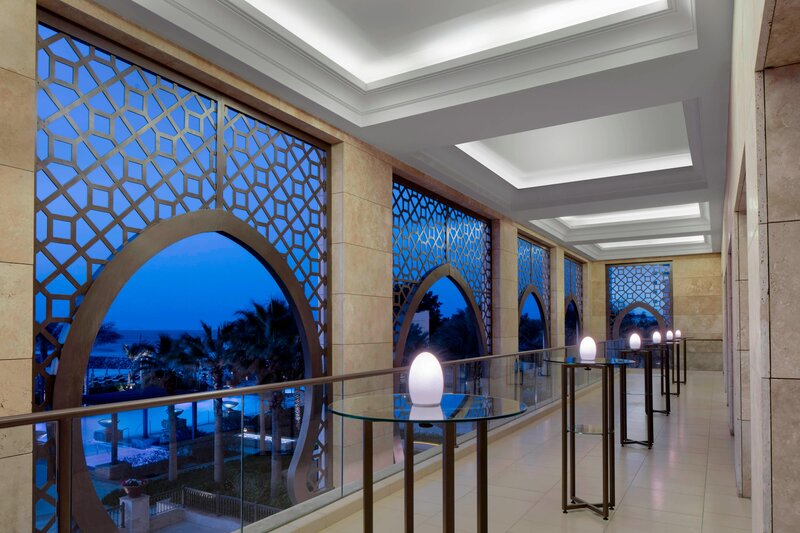 Our meetings and events facilities are illuminated by natural daylight and provide magnificent views of the Arabian gulf. 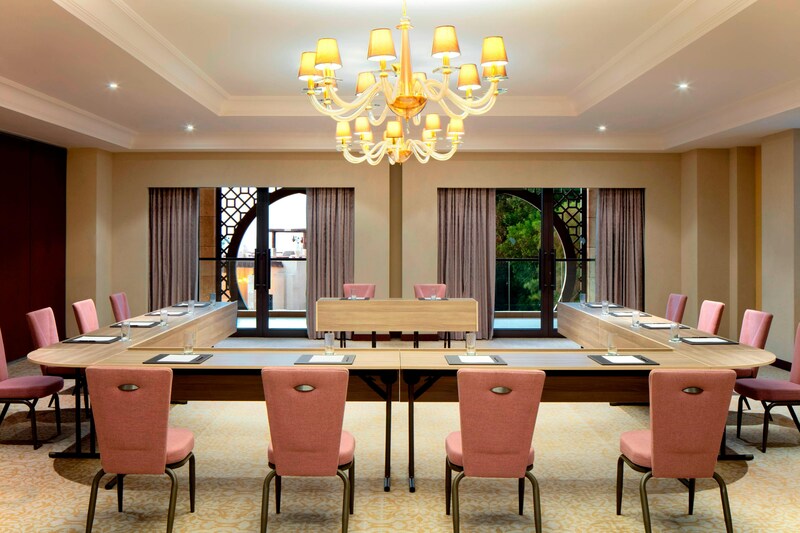 Host a meeting in one of our elegant meetings rooms and be confident that your event will be a success. 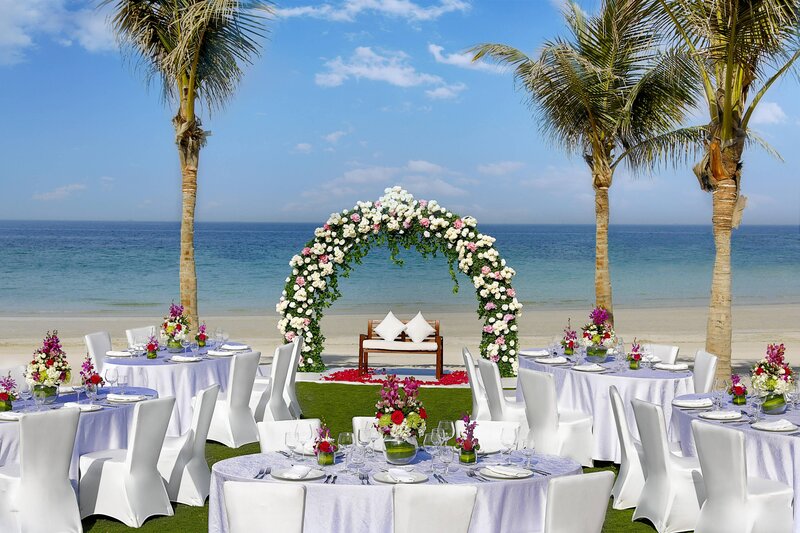 Host your wedding or reception at our outdoor event space, steps from the waters of the Arabian Gulf.